Horses have long been a standing symbol of rustic country decor, especially for ranch style, Western themed rooms and furnishings. 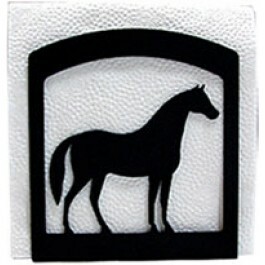 We here at Sturbridge Yankee Workshop enjoy horse themed decor in many styles and are happy to share some of our favorites with you. Showcase your love for all things equine with a wall mural like the one shown here. Stunning imagery creates a focal point in a living room or in a child’s animal themed room. Water based inks and natural fibers add to the charm of this American-made wall mural. 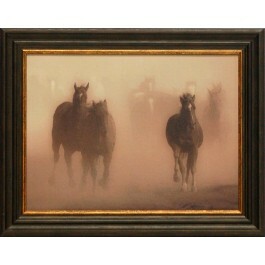 Artist Gary Crandall created this spectacular view at horses charging through an open area, kicking up dust as they gallop along. 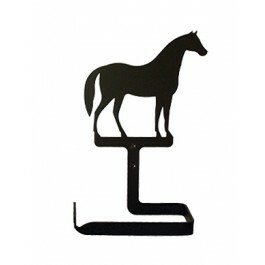 Add a conversation piece to your mantel space or on a table centerpiece with Metal Horse Display, offering antique charm. Resembling historic weather vanes, this horse display is crafted to appear distressed and weathered as if it were sitting atop a house indicating the changes in precipitation and sunshine for eons. Its painted features enhance the overall look and feel of this interesting piece. 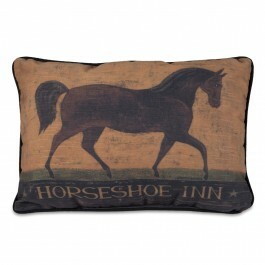 A sleek brown horse, with a gorgeous mane, is the central feature of this pillow. Image looks crackled and textured as though it were copied from an old wooden sign from the real-life Horseshoe Inn. With a muted mustard background, and sage green and black check pattern on the back, this pillow will work well with your current country style. 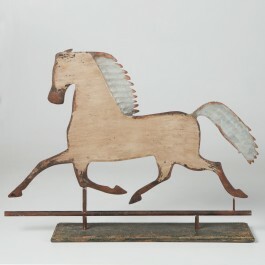 Artist Warren Kimble is nationally recognized for his casual but sophisticated style of American folk art. 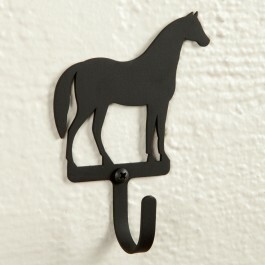 Add instant country charm with horse themed decorative accents crafted from sturdy wrought iron. Used for many purposes, from napkin holders to fire stokers, iron has a welcome spot in any rustic country homestead. Accent your home with wrought iron tissue and napkin holders, or small wall hooks that will keep towels, bags and coats orderly and neat. These accents are also available in other designs to fill your entire home with farmhouse themed animals and country shapes. This entry was posted on Wednesday, January 1st, 2014 at 8:00 am	and is filed under Art, Bedroom, Pets, Thematic, Wall Decor. You can follow any responses to this entry through the RSS 2.0 feed. You can leave a response, or trackback from your own site.